Whether you’re pregnant with your first child or adding to your family, the right obstetric care helps you enjoy the best possible pregnancy. The board-certified obstetricians at Westmoreland Obstetrics and Gynecologic Associates specialize in low- and high-risk pregnancy. 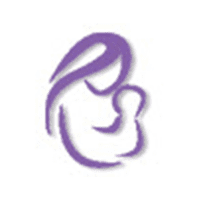 The practice offers a broad range of obstetric services, including prenatal care for low risk and high risk pregnancies, ultrasounds, genetic testing, and cord blood banking at locations in Lake Bluff and Grayslake, Illinois. Get the care you deserve today. Call or book a consultation online. As soon as you find out you’re pregnant, you’ll want to begin seeing one of the board-certified obstetricians at Westmoreland Obstetrics and Gynecologic Associates for obstetric care. This will include prenatal care for you and your growing baby, along with delivery and postpartum planning. If you’ve gone into premature labor before, had a child with a birth defect, or had problems in a past pregnancy, your pregnancy also may be considered high risk. What happens during prenatal care? During your first prenatal visit, your obstetrician may perform a complete physical exam or ultrasound and recommend a series of diagnostic and screening tests. The practice offers on-site ultrasounds and genetic testing for your convenience, along with cord blood banking after your baby is born. As your pregnancy progresses, your obstetrician may recommend other tests to check for possible risks and complications. What tests should I expect during my pregnancy? You’ll typically undergo a glucose screening test, which measures the amount of glucose in your blood. This test assesses your risk for gestational diabetes. Your obstetrician also may recommend a flu shot and Tdap vaccination. What should I expect later in my pregnancy? As your due date draws near, you’ll want to discuss your delivery plan with your obstetrician. If you’ve had a baby by C-section, you can talk about whether you’d like a repeat C-section or a vaginal birth after cesarean (VBAC). If you’re pregnant and need obstetric care, the board-certified experts at Westmoreland Obstetrics and Gynecologic Associates specialize in low- and high-risk pregnancy. Call or schedule a consultation online today.